Securitization Audits are to the Bank what “Kryptonite” is to Superman. They absolutely hate when a homeowner has used one to uncover the fraud contained in their Foreclosure Documents, as it is estimated that over 80% of the foreclosures that are being done have fraud in the foreclosure documents. This means that the party attempting to perform the foreclosure most likely is not a party of interest in the loan and therefore has no right to foreclose. It is like me making a fake copy of a certificate of title for a car and then selling that car, be it stolen, borrowed or found. If you or I did that we would be in Jail, but this is what the banks do on a daily basis 7 days a week. New Secret Weapon Lets You Beat Your Mortgage Lender at Their Own Game … How to Legally Save Your Home Before, During or After Foreclosure ..
You’ve heard of CSI (Crime Scene Investigation)? Well, you should know about a new type of investigation called a MSI (Mortgage Scene Investigation) Securitization Audit … it’s a powerful process to defend yourself and your home before, during or after Foreclosure. But that’s putting it mildly. Because … when performed properly, a MSI Securitization Audit can turn the tables on your mortgage lender and have them eating out of the palm of your hand! Read on to discover how. The short answer is because Securitization Audits blatantly expose their fraud… the fraud they are committing by trying to foreclose on securitized mortgages. A securitized mortgage is one that has been pooled together with a bunch of others and sold to investors. Over 85% of loans in the last 10 years have been securitized. And once a mortgage has been securitized, the bank no longer holds the title to the loan. And when they do not hold title, they cannot legally foreclose. And it’s the Securitization Audit process that exposes and proves this fraud. The resulting documentation takes the bank off its “high horse” and exposes their misconduct in front of a judge, giving YOU the upper hand in court! First, let me clarify that we at Consumer Defense Programs have coined and are in the process of Trademarking the term MSI (Mortgage Scene Investigation) Securitization Audit. Why? Because of the strong similarities between investigating a crime scene and the scene of today’s rampant mortgage fraud. Just like in a CSI investigation where the investigators extract fingerprints, DNA and other incriminating evidence, a Securitization Auditor collects and disseminates incriminating evidence concerning your mortgage using documents that have been filed and recorded concerning that mortgage, analyzing signatures, dates, time stamps and a myriad of other items to find fraud that has been conducted by your lender, as well as items of information that should have been disclosed to you during your loan about your loan. How Do Securitization Audits Work? A Securitization Audit is an audit done by a third party researcher who scours through various publicly available resources (such as EDGAR: an SEC database) to find proof that your loan was securitized (meaning your loan was pooled with other loans and sold to investors). 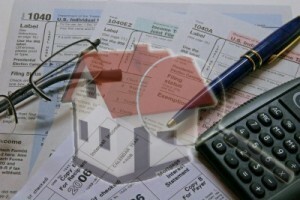 Often, a well trained auditor can pinpoint the actual location of your loan among hundreds of thousands of investments. This is tedious and grueling work, as they have to literally find a needle in a haystack of a few thousand loans. is a multi page document and an affidavit that is admissible in court as evidence. The document will show whether your loan was securitized and in some cases what investor pool your loan is in, or what Trust it belongs to. Since this information is publicly available through the SEC, the affidavit is a simple statement of fact (given with firsthand knowledge) that your loan has been securitized. Other things the auditor will look at are recorded documents such as a Mortgage Assignment, Substitution of Trustee, Notice of Trustee sale and other recorded documents and investigate those who signed those documents. Looking for an Affordable Attorney that specializes in Foreclosure Defense who can work on a Payment Plan? Click Here for more info. First, the banks decided to pool individual mortgages together into one big investment. Then, they decided to sell these groups of mortgages to groups of investors (also known as the “Securitization process”). And when many of the homeowners became cash-strapped and could no longer pay their mortgages, the bank had to audacity to try to foreclose on these homes. Essentially, the banks are trying to GET PAID AGAIN on the loans they had just sold to the investors. How? By coming after YOU through the foreclosure process. It’s unjust, illegal, and downright fraudulent. But you can bet your bottom dollar that the banks are trying to use their muscle in Washington to let this all slide under the radar … while you – the struggling homeowner – pay for their misconduct! With foreclosures are a record high, the banks began getting overwhelmed with foreclosure paperwork. And many have resorted to forging the signatures of Bank personnel in order to foreclose on homes! These false signatures and the attempt to foreclose on your securitized loan present you with a massive opportunity to legally avoid foreclosure and save your home by taking your lender to court. However, as a Plaintiff in a civil action against your lender, you bear the burden of proof to show fraud conducted by the lender. An MSI Securitization Audit can be a great way to do just that. If you can not/do not bring sufficient evidence before the court in your case, then it is subject to dismissal. Sadly, most of cases where the Plaintiff represents him/herself are dismissed before they see the light of day. The bank would rather have your case dismissed rather than be forced to admit their fraud in court. But when you walk into the courtroom with stacks of expert-derived evidence in your arms … evidence that shows the bank’s blatant misconduct, it instantly knocks the bank off its pedestal and puts the power in YOUR HANDS. Here at Consumer Defense Programs, we’ve aligned ourselves with some of the best Securitization Experts in the Country. How do we know? With over 25 years experience as a Mortgage Banker, and with many other auditors coming from the Banking Industry, many of the top Foreclosure Attorneys in the United States get their audits from them. Many auditors are making promises to deliver a Securitization Audit in lest than a few days. Those auditors are most likely frauds and should be avoided. A good audit that can be used in court can take as many as 20 man hours to complete. Many companies trying to get into this new wave of service use a software that does the audit and is so bad that rarely will you get it admitted as evidence. We have found a company who can perform a legitimate, hands-on Securitization Audit for only $1,295. Most importantly, the firm has experts appeared many times as an expert witness in Court and who fully understand Court Room Procedures. That’s why you want these guy’s in your corner, performing your Securitization Audit. NOTE: If you are or become a member of the Foreclosure Defense Memership Program, you save $300 off the regular price. Most Attorneys’ charge between, $2000 and $4000 for the same service. But many attorneys are not fully qualified to perform excellence in this new area of law. When done properly, banks absolutely HATE these Securitization Audits! And if they HATE it, we want it. Remember, your case must be as strong as possible. With a legitimate Securitization Audit backed by a strong case, the bank “taps out” because they know they have little chance of winning. An enormous demand for these audits and a huge lack of experienced auditors is making it harder and harder to deliver these audits in less than a month. The audits provided by our Experts are some of the most complete audits in the Country, and that is the reason everyone wants audits completed by these Experts. We have now aligned with multiple examiners and future delivery times should average 3 to 4 weeks. (Some Audits can take longer depending on the number of documents in the File). Not all Securitization Auditors are alike. Frankly, there are many scammers out there. We’ve been taken by a few of them ourselves, having lost quite a bit of money. Legitimate Securitization Audits performed by qualified attorneys do not come cheap. If you see a service offering Securitization Audits and they use the words “for informational and entertainment purposes only”… turn and run because (unlike ours) their audit will not be admissable in court. Each audit supplied by one of our expert witness includes a resume’ of their experience, and name of the examiner writing the report. With years experience and expert witness appearances in hundreds of cases, one of our senior auditors can provide you with an audit that will make your Attorney smile from ear to ear when he sees what he has to present in the case. Attorneys and borrowers cannot offer substantive testimony in their own cases. In other words, they cannot be their own experts. Our auditors specialize in highly qualified expert investigation, reporting, mediation and litigation support in the fight to win against foreclosure. Securitization Audits: Loan servicers across the nation are under investigation by a multi state joint attorney general’s task force for processing questionable foreclosures using deceptive processes that may not be lawful. For example, foreclosure related documents signed unlawfully, a chain of ownership that is unclear and faulty, underlying sales and transaction disclosure of a securitized loan not revealed in full and state consumer protection requirements have not been followed. The auditors we use will expose defects, discrepancies and faults. Their Securitization Audit investigations reveal foreclosure processes undertaken with inaccurate documents, conflicts of interest, faulty chains of title, failure to conduct mediations required by law and robo-signing; affidavits and other documents asserting claims without knowledge of the facts or confirming their accuracy, employees of foreclosure trustees signing documents posing as the corporate officer of multiple banks and mortgage servicers and signatures that vary widely from document to document. We expose reverse engineering the chain of title on foreclosure documents, including back dating to make it appear as though the loan was passed from company to company correctly. The audit can also expose foreclosures where there is no clear chain of ownership for the loan or security interest. Default notices that have gone out without all the required information, inaccurate documents, conflicts of interest, defective processes, misrepresentation and fraud. Such failures potentially injure not just homeowners denied the protections afforded to them under our laws but also subsequent purchasers of foreclosed properties, financial institutions who might be inclined to lend on such properties and the title insurance companies who insure the chain of title to those properties. These audit firms have the capabilities to search thru millions of loans to try and find yours. If after all of this they still find it has not been securitized then you still benefit by not having to pay an attorney on a lost cause. You will get a full audit report telling you of their findings, and letting you know fighting it might be an uphill battle. It does not help you to fight to keep your home if the lender did everything right. It does not mean that if your loan was found not to be securitized you get a refund, as these audits can take 10 to 15 man hours of research to perform and time is money. However securitization is not the only thing to consider, as many of these lenders have forged or Robo-Signed many of the foreclosure documents. However over 85% of the loans written in between 2000 and 2007have been securitized, but once in a full moon they find one that has not been. At that point you will need to look at other defense tactics. Please note, this price reflects a “per loan” basis. To order a mortgage Securitization Audit, click on the Order button below. Click here to see a Sample of Sample Securitization Audit. Click here to see a Sample of Affidavit. Non Member Price $1795. Member Price $1495 (Order in Module 5). Understand the Auditors have 3 Levels of audits. This order form is for a Level 1 audit. If a Higher Level of audit may be needed for your situation your foreclosure consultant will discuss the other Levels of audits with you after you have submitted your order for an audit and they have received your documents. You can then upgrade to the higher level of audit by simply paying the difference in cost. Most of the Attorney Clients ordering audits use a level 3 audit as it is fully ready for litigation and has the most thorough research done on it. Not as much research is needed to simply determine if there is fraud in the loan documents, but an entirely different story to get the audit ready to submit into court. Consumer Defense Programs does not conduct the audits. We use an independent approved vendor of highly qualified mortgage analysis experts that provide independent third party Securitization and Forensic Loan Audits to borrowers seeking to obtain evidence for use in court to fight foreclosure. Consumer Defense Programs provides auditing services as an approved vendor in stages based upon needs at the time. The experts do not advocate for the borrowers as they are strictly a 3rd party conducting an analysis of documents for the homeowner. Neither Consumer Defense Programs nor the mortgage analysis experts provide legal or accounting advice. The reporting is more than informational; and a highly qualified expert is available for mediation and litigation support to qualified legal professionals. P.S. Don’t let your bank fraudulently foreclosure on your home. Fight back with our MSI Securitization Audit so you can expose the bank’s fraudulent actions against you and save your home! You’ll be glad you did, and your family will thank you. P.P.S. To maximize your success at fighting your foreclosure, you need as much fire power as possible. That’s why we encourage you to join the Foreclosure Defense Membership Program. To become a member, there’s a one-time investment of only $297 — and you can instantly take $300 OFF the investment in your MSI Securitization Audit (and other members-only discounts). Also as a member, you get numerous sample templates you can use as more evidence in addition to your MSI Securitization Audit. The audit alone is not nearly as powerful as having the coaching and tools to go along with it. So let us start you on your Mortgage Scene Investigation training and help you find the clues and evidence to fight back against your crooked lender. Don’t just sit there and let the bank rob you of your home. Go ahead and join the Foreclosure Defense Membership Program then return to this page to get your MSI Securitization Audit for the discounted Member Price.